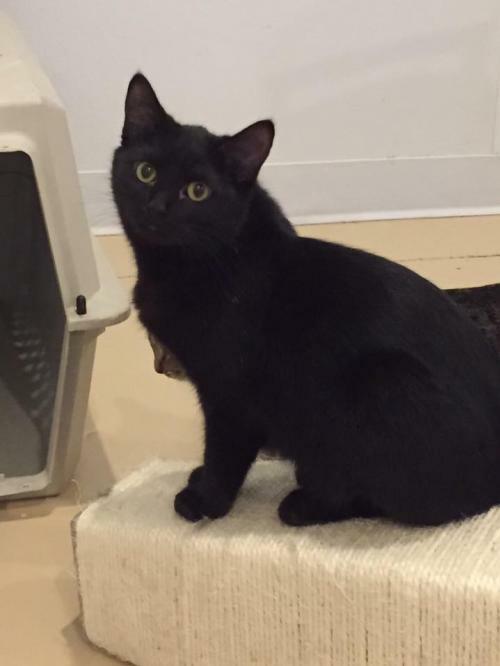 Ghirardelli is one of our very pretty all black male young adult cats born May 2016. He is very sweet and loving. He loves to rub against your legs and he loves to play. His adoption fee is $40. This will cover his neuter, vaccinations, and microchip.